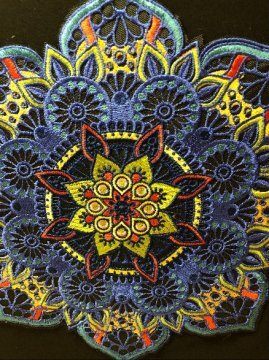 An embroidered mandala design 199,000 stitches to complete this piece. I customized the colors and show you the up close picture. 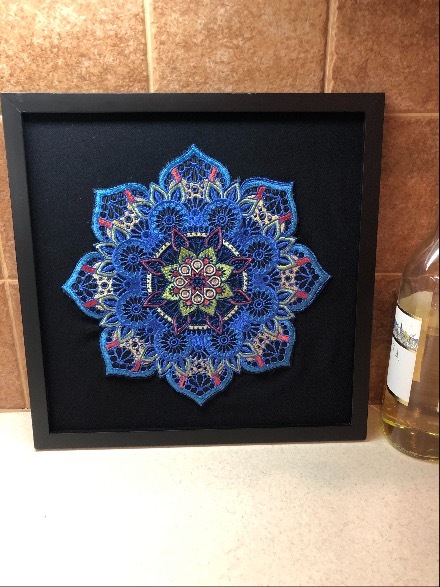 I framed this in a 13x13 boxed frame. This is the first of a series I will be making.